As soon as I stepped foot on the streets of Tokyo, I was met with an overwhelming amount of stimuli. Whether it was the bright neon signs at Shibuya crossing, the sounds of the Japanese language, the sheer amount of people everywhere all the time, or the endless alleyways full of culinary delights – Tokyo did not disappoint me. And of course, how can I not mention the fashion? In my second attempt at street style photography, I learned that the language barrier is both a blessing and a curse. Armed with a friendly smile, there were only three words that would be useful for this occasion: sumimasen (excuse me), kawaii (cute), and arigato (thank you). Some willingly obliged, flattered that a foreigner wanted to take a photo of their cute outfit. Others were creeped out that a foreigner wanted to take a photo of their cute outfit. 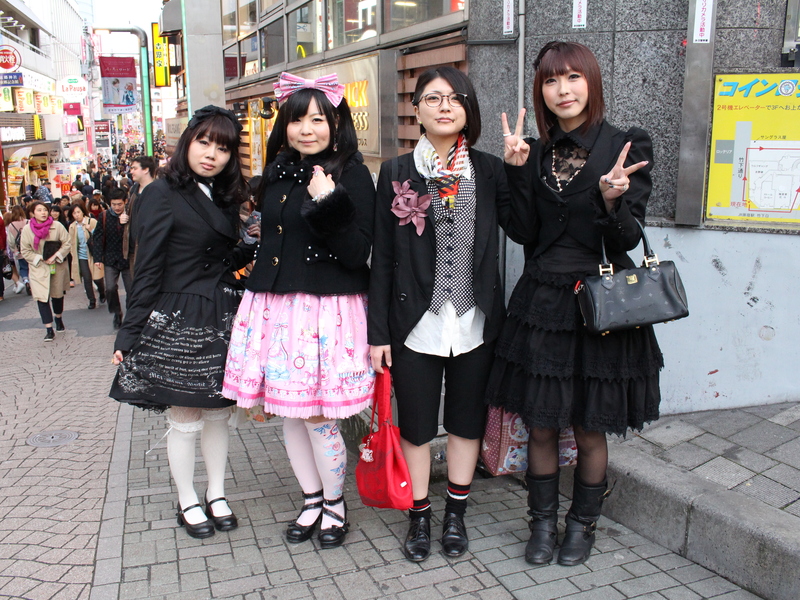 So there I was, standing at the entrance of the Harajuku District, camera in hand, ready to snap photos. Fifteen minutes had passed and the sun would set soon, yet I had not one single street snap. Trying to take candid shots only resulted in blurry photos. I would need to go balls to the wall if I wanted some great pictures. Women who are by themselves will most likely agree to be photographed. The young ones will be too shy to have their photos taken. Big groups of girls will chatter amongst each other and maybe laugh at you, then walk away giggling, leaving you high and dry. These pictures can’t even begin to encapsulate the gamut of women’s fashion in Tokyo – there were so many cool outfits I wasn’t able to capture! Inspired by the aesthetic here, I can’t wait to return home to apply some of these learnings to my own style. I’m a big fan of the fellas, whose fashions rival that of the women’s. Unfortunately, I was too shy to approach any of them and I ran out of time. I might just have to return to Tokyo again for street style part ni: men’s edition. Until then, sayonara!